Palmerbet Sports Team runs its eye over the field for Monday night’s Brownlow medal, looking at a huge array of markets on offer. Another year, and another Brownlow night. Some love it, some think it drags on, but whichever way you lean, it’s a hugely popular night with the punters. Once again we have a hot favourite in Tom Mitchell, who is $1.55 going into the AFL’s night of nights. But favourites don’t always deliver. The umpires cast a different eye on things than the armchair experts, and the prospect of an outsider picking up competition’s most coveted prize is wholly possible. Below we take a look at the key betting areas for the night. Will disposals translate to votes? Mitchell’s year has been incredibly prolific from a ball-winning perspective. He’s averaged 35.8 disposals a game, and broke the VFL/AFL record for most disposals in a game in round one, with a ridiculous 54 touches. If you’re to ask whether he ‘deserves’ the Brownlow, most would concur. But deserving and winning are two different things altogether. High possession counts have shown over the years to not necessarily equal umpires votes. So is he too short at $1.55 with Palmerbet? His price certainly gives us value elsewhere. We think Dustin Martin will be Mitchell’s biggest rival on the night. A proven vote-getter and favourite among the umpires, Dusty clearly gets far less of the ball than his Hawks counterpart (he averaged 25.3 disposals in 2018) but what he does with it in hand is arguably better than anyone else in the game. While his year didn’t quite reach the heights of 2017, he is still a huge chance to go back-to-back. Currently, he is at $7.50 with Palmerbet as the outright winner and a $2.85 favourite in our ‘Brownlow Medallist Without Mitchell’ market. Is 2018 the ruckman’s year? Two ruckman sit inside Palmerbet’s top-five favourites for the 2018 Brownlow Medal: Melbourne’s Max Gawn ($9) and Collingwood’s Brodie Grundy ($17). 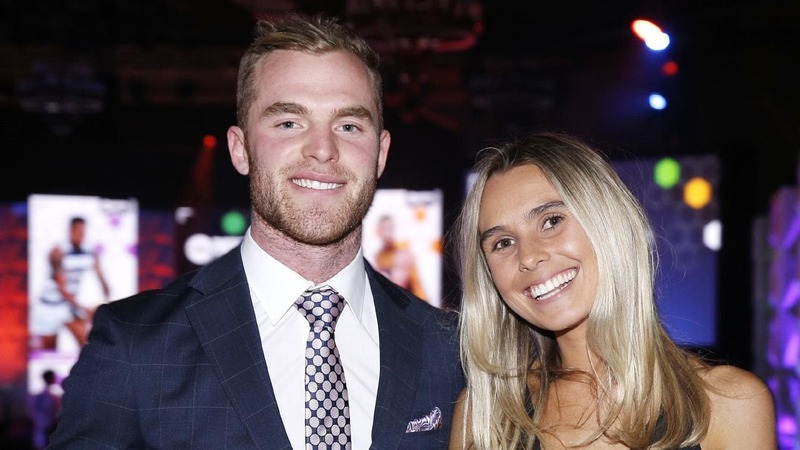 Both players – especially Gawn – are fan favourites, and most of the public would cherish the first ruckman claiming the award since Scott Wynd in 1992. But is it wishful thinking to think the big men can outpoll the midfielders? It’s not dubbed a ‘midfielder’s award’ for no reason – the ball getters simply demand most of the umpires’ attention. Will Cripps poll in losing sides? Patrick Cripps undoubtedly had a brilliant season, and deservedly sits as fourth-favourite at $9 with Palmerbet. But given his side won just two games this season, can he actually poll a winning score? History tells us it’s exceedingly difficult to poll a winning-score in consistently losing sides. In fact, just two players in the Brownlow’s 70-year history have won playing for a wooden spoon side. While his numbers are very good, some projected 3-vote games may turn out to be just one vote given the umpires’ (natural) tendency to give top votes to the winning side. As the Brownlow Medal approaches, we profile some of the top winning hopes, for @energy_prana. While we think Gawn will poll well, Clayton Oliver’s season deserves big attention. We think he will pip his teammate in the ‘Melbourne most votes’ market at $2.75 (compared to Gawn at $1.35). Buddy Franklin should definitely have enough three-vote games to pip his Swans teammates in the ‘Sydney most votes’ market. He’s at $2.10. Yes, it might be a bit boring backing the favourites. But a Tom Mitchell/Dustin Martin Quinella is paying $4 with Palmerbet.